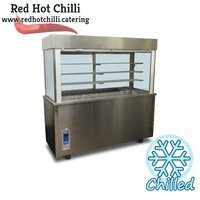 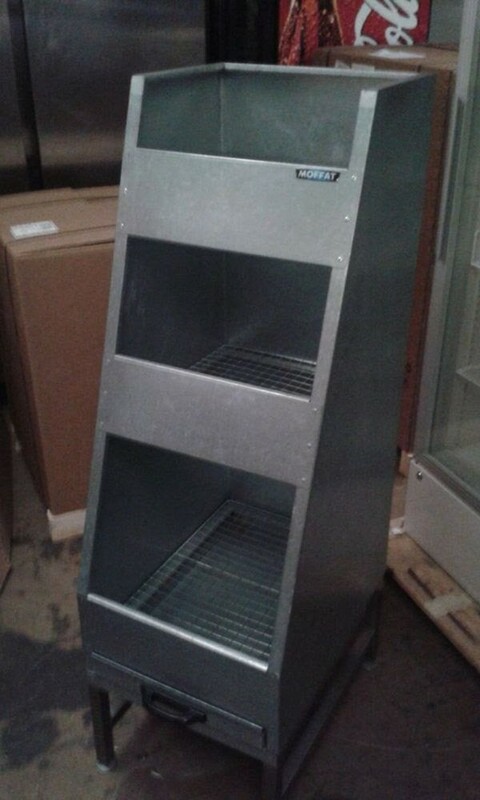 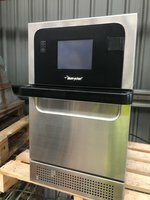 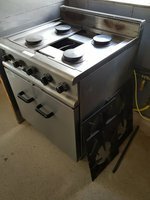 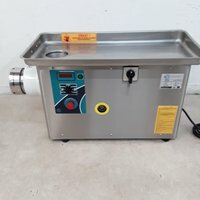 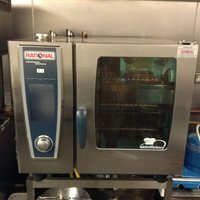 4 Spit Rotisserie Oven with Hot Cupboard. 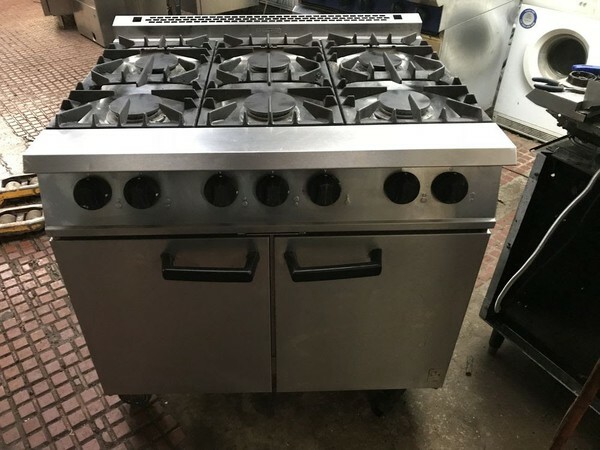 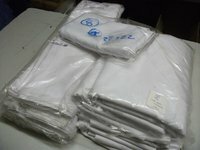 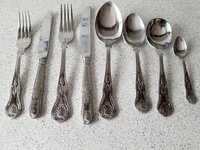 Virtually brand new (only 5 months old) and in immaculate condition. 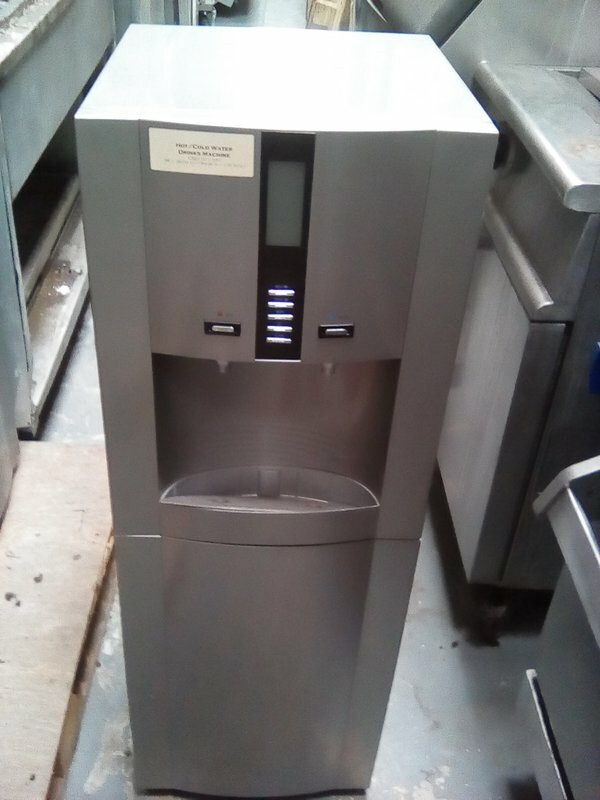 Brand new, never been used, still in plastic wrappings. 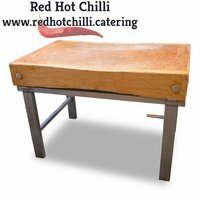 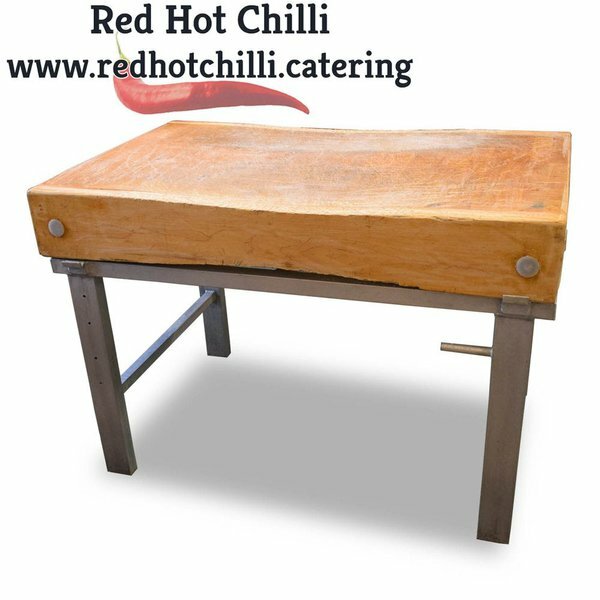 Striking, curved counter unit, perfect for the front of any kitchen or as a centre island. 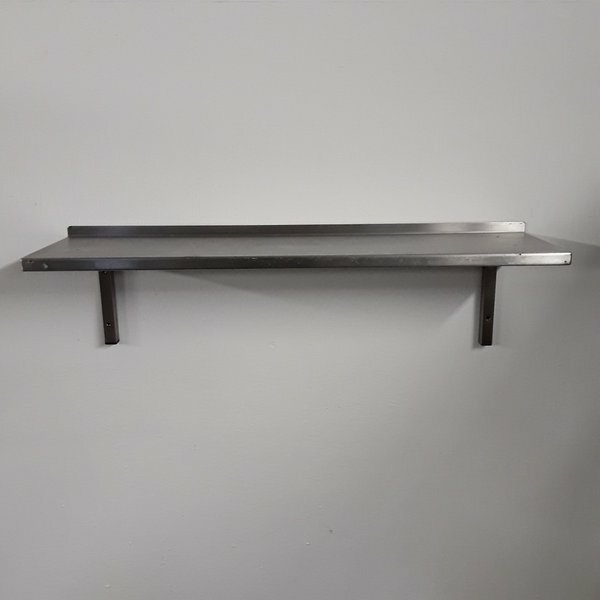 Clad in curved, stainless steel on 3 sides, this counter has 2x workstations divided by a 200mm tall, double skinned, stainless steel divider. 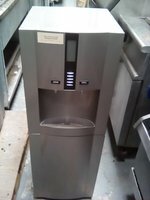 First section contains a 300mm handwash basin, with brand new commercial waste and plugs, also complete with basin taps. 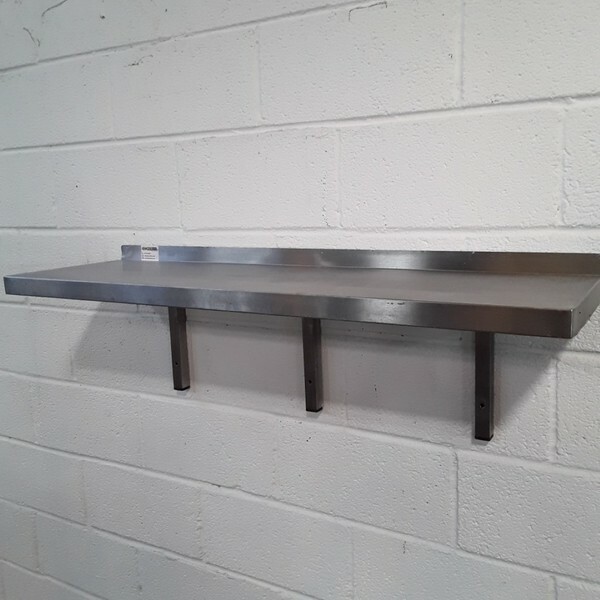 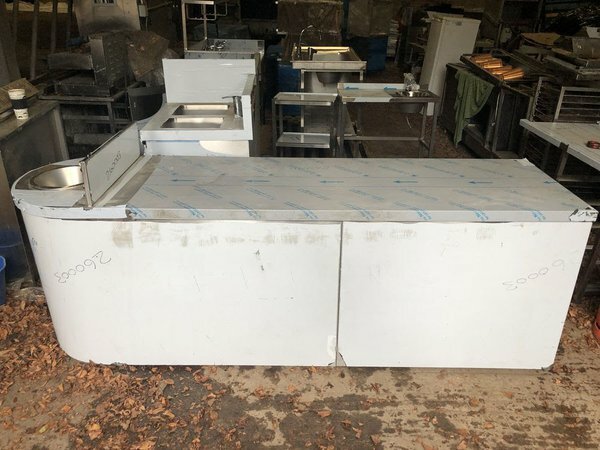 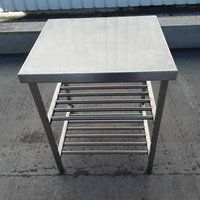 Second section contains a large, pristine, 2150mm prep surface, void under with 3x single sockets attached to the back of the cladding make that section perfect for placing refrigeration under. 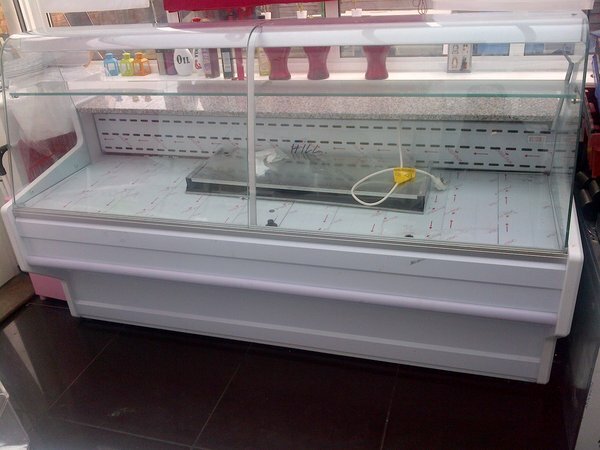 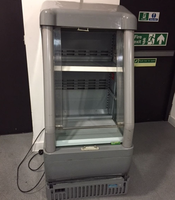 These refrigerated displays are in outstanding condition and have never been used. 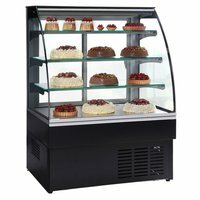 Complete with three glass shelves which allows for the perfect display of any chilled foods such as cakes, sandwiches and drinks etc. 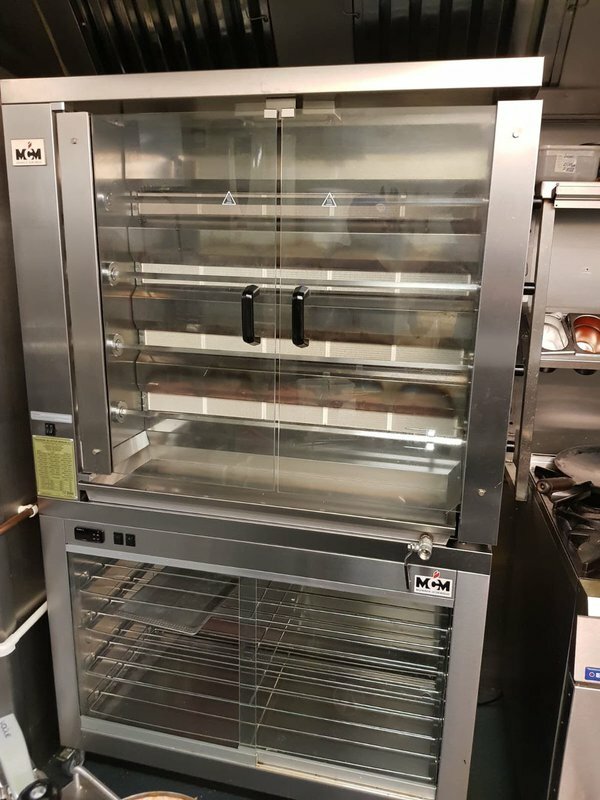 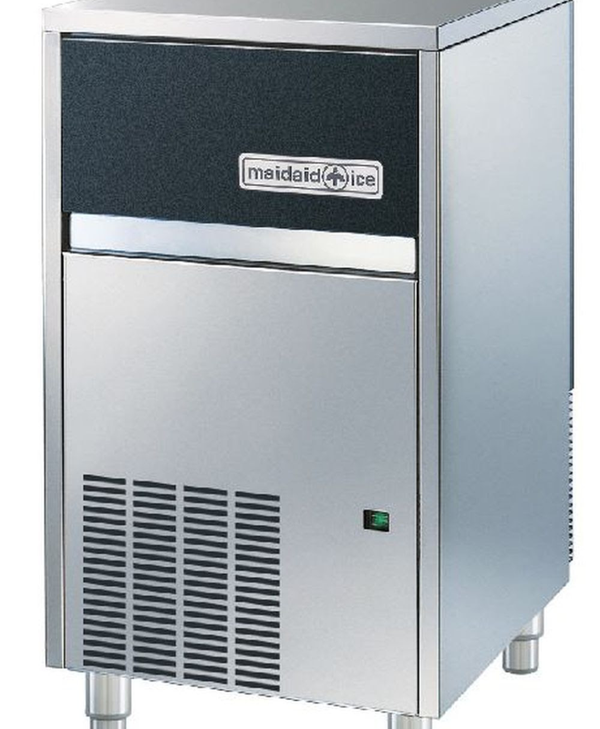 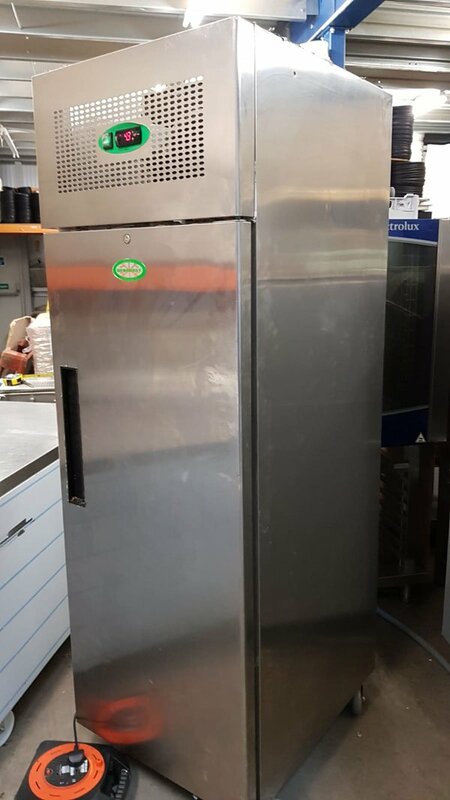 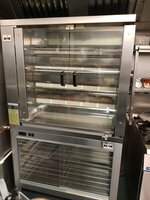 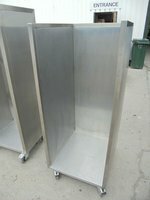 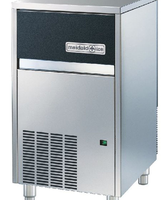 Also, with a white metal shutter and lockable casters this superb unit is ideal for a wide range of food establishments. 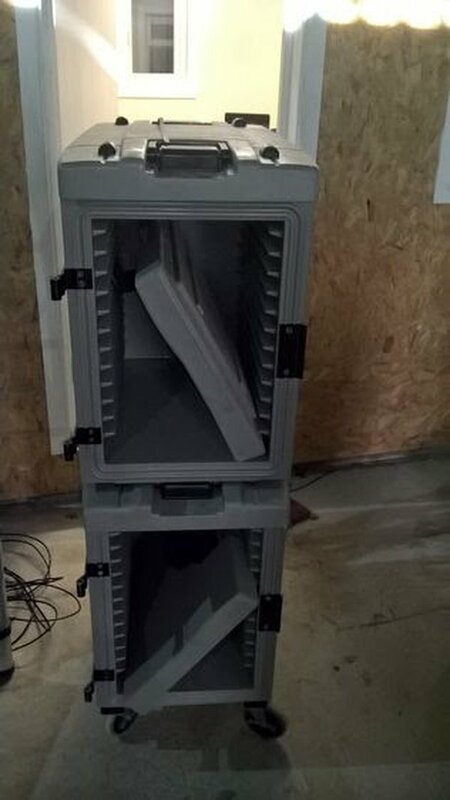 These are lockable and will be supplied with keys. 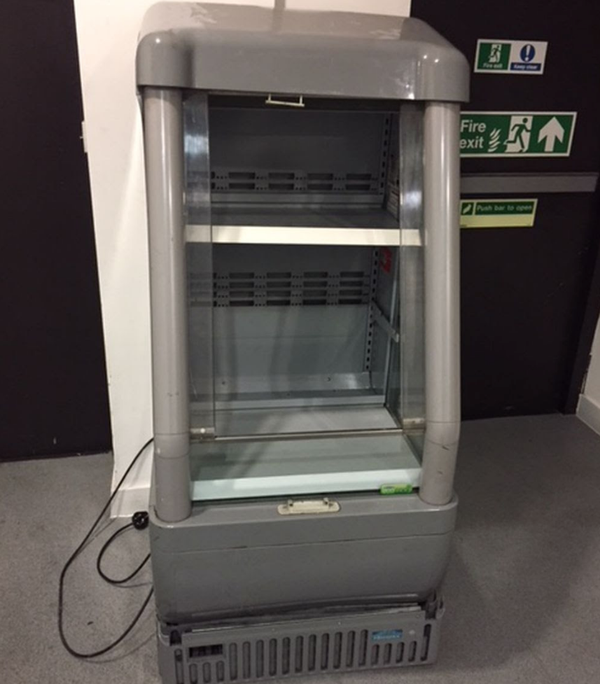 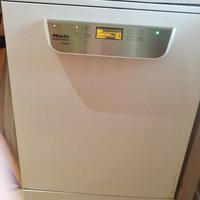 Please note: This unit is in immaculate condition and has never been used. 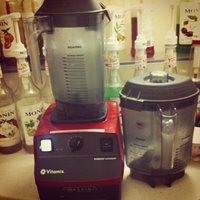 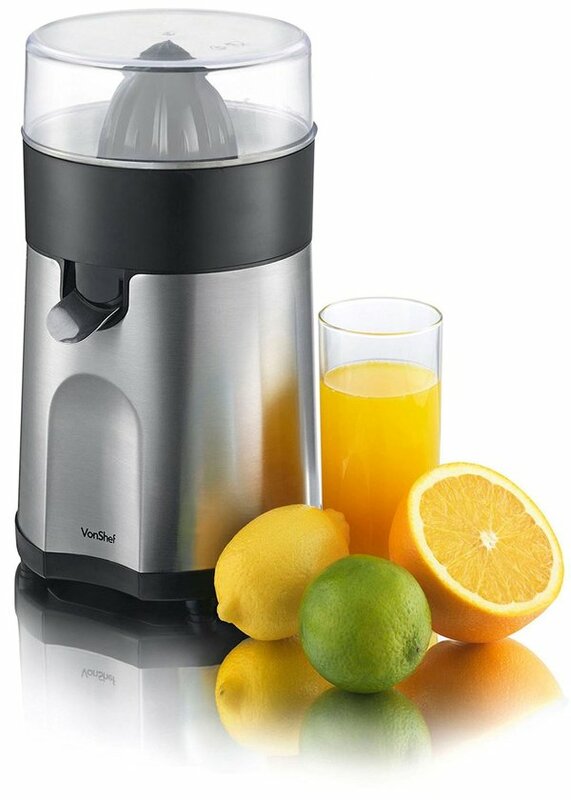 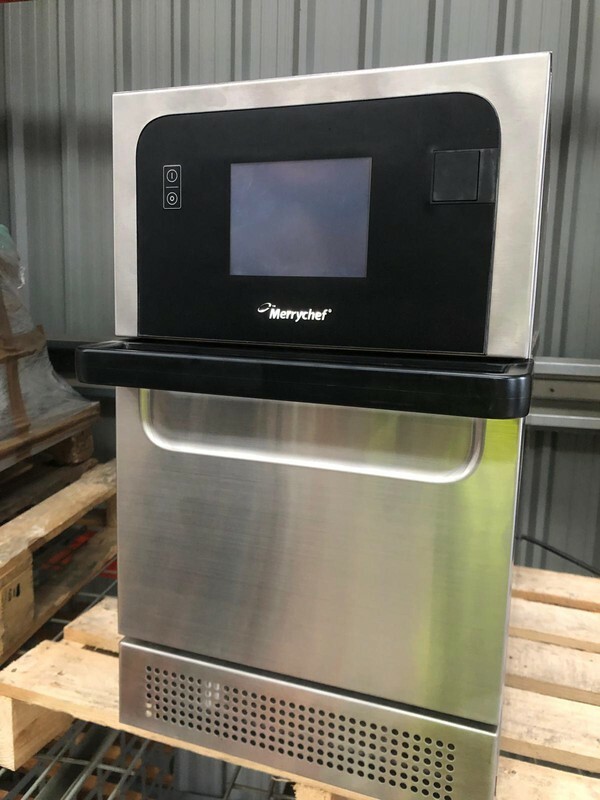 This is a new drink and juice dispenser runs on single phase power, 500 watt spray and 350 watts stirring, capacity 18 litres per tank, temperature range 7-12c, Stainless steel Body. 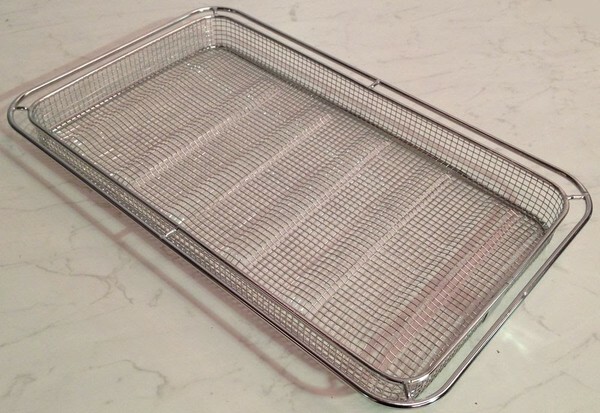 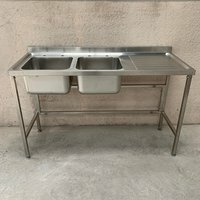 New Stainless Steel Sink Double Bowl Right Drainer. 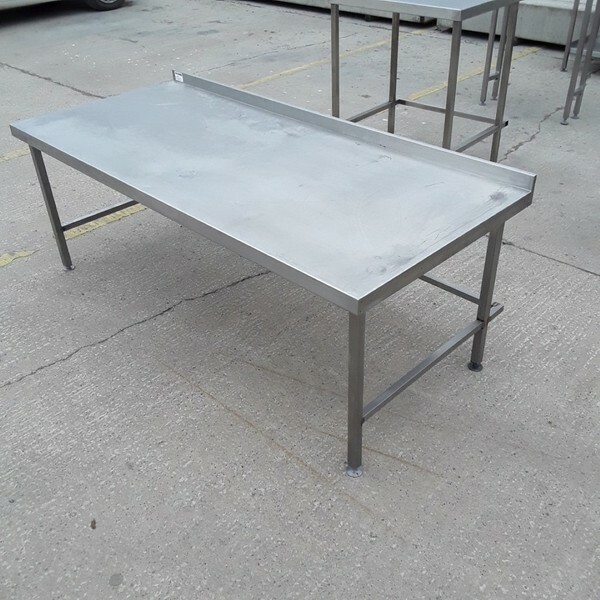 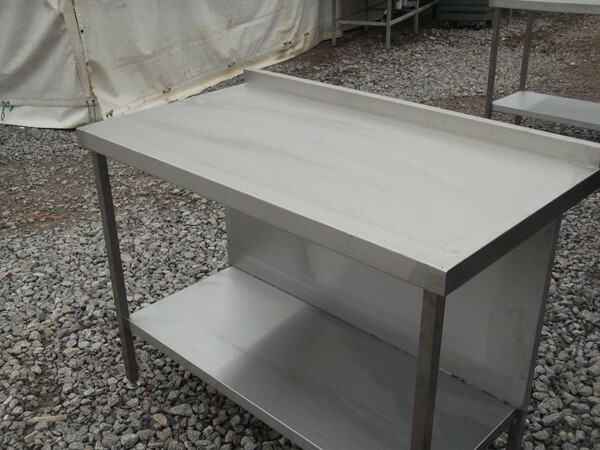 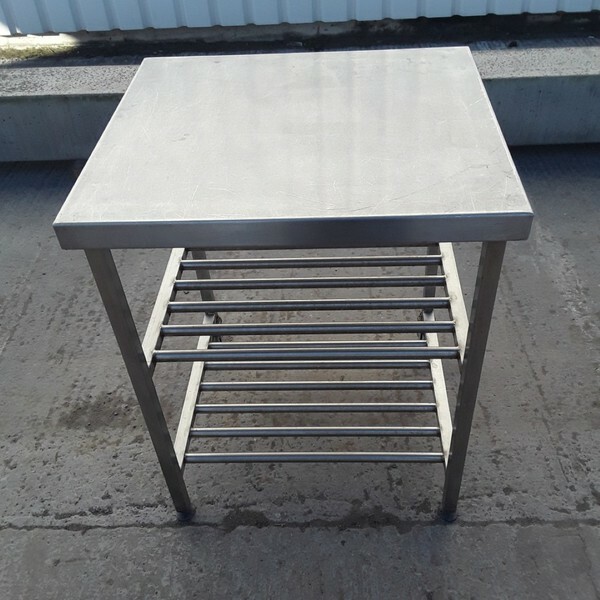 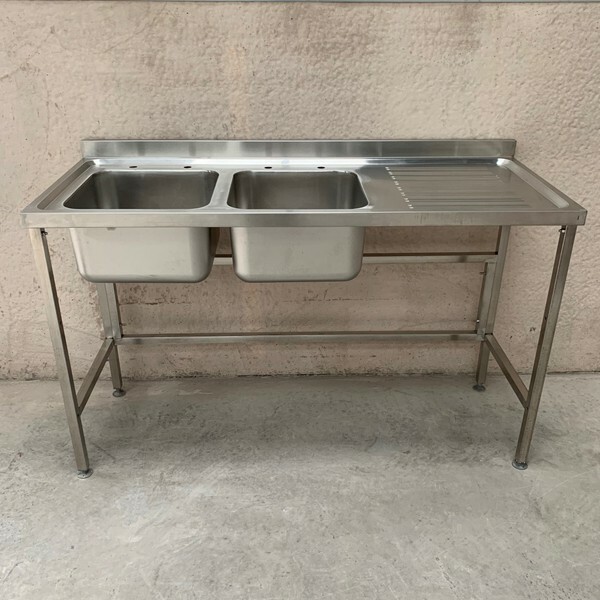 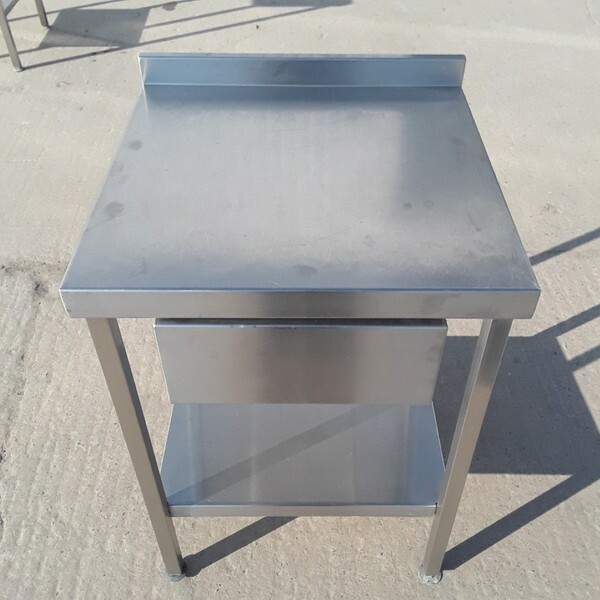 This self assembly commercial sink unit with single bowl is manufactured to the highest standard, and as it is built with 1.2mm food grade stainless steel, the sink is strong and robust in order to endure heavy usage in any catering kitchen. 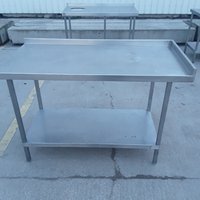 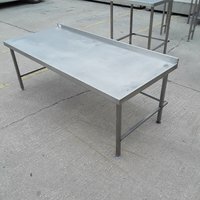 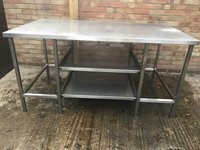 Used Stainless Steel Double Bowl Sink. 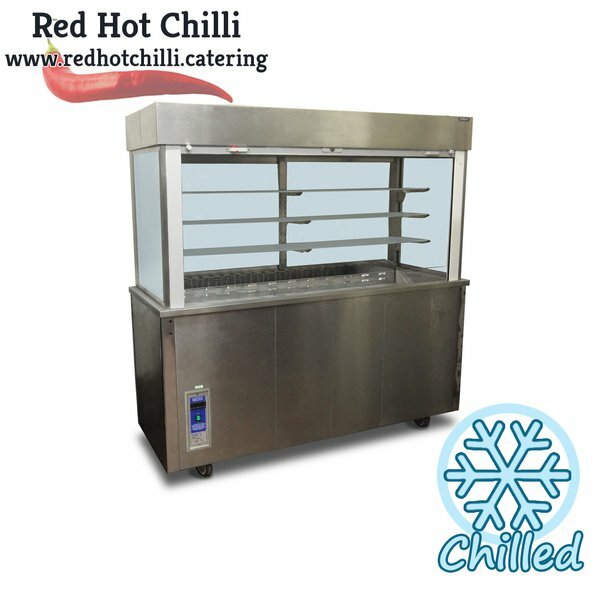 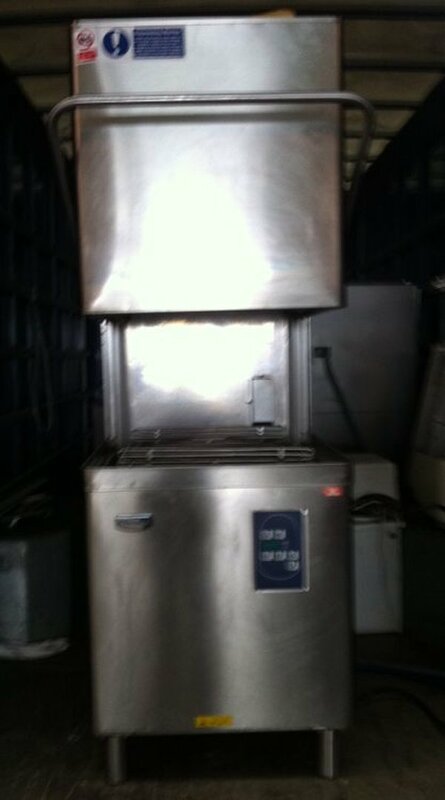 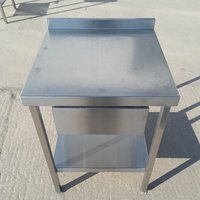 A stainless steel food prep counter with two door, 240 litre refrigerator. 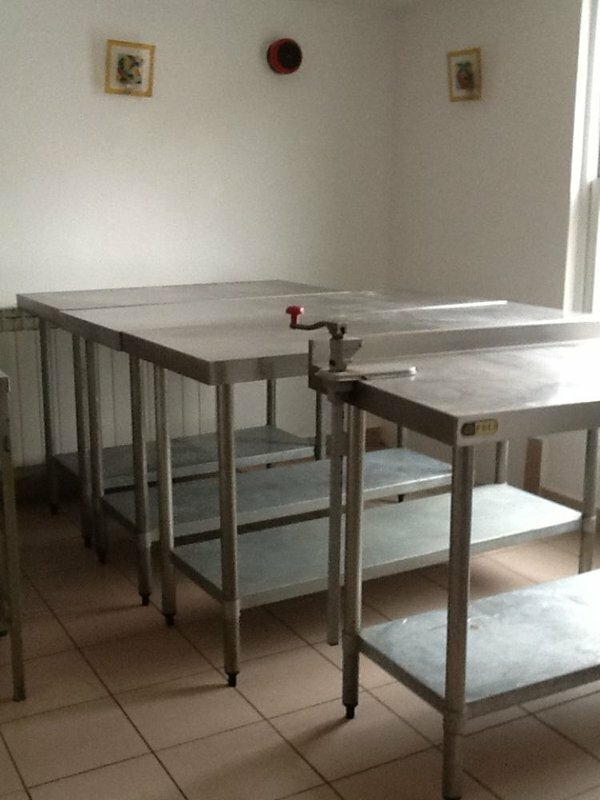 Holds up to five 1/6 GN pans (3 provided) for quick access to salads etc. In full working condition. 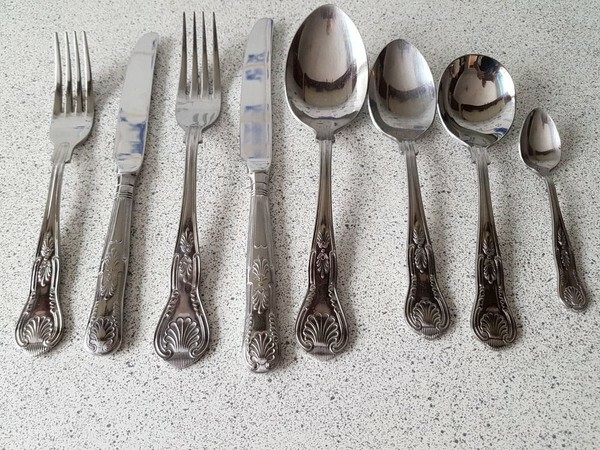 Sold as seen. 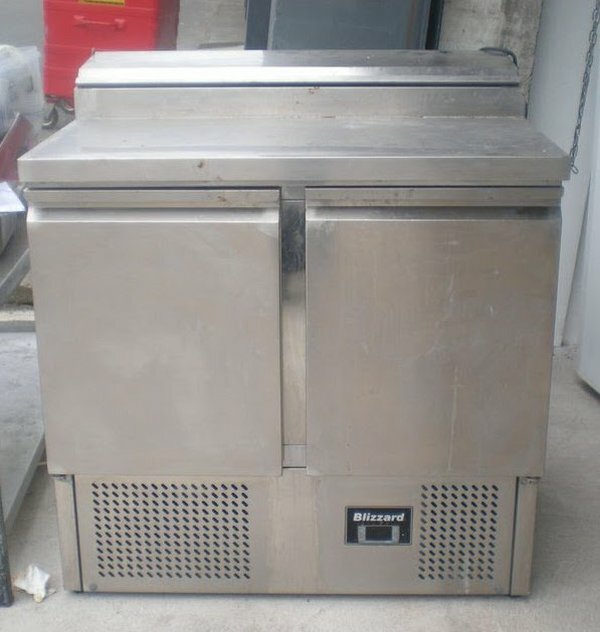 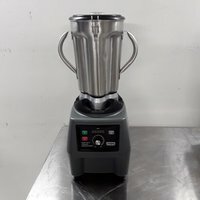 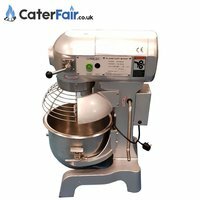 Used Cater-Mix Planetary Mixer CK0820, single phase, includes whisk, beater, and dough hook attachments. 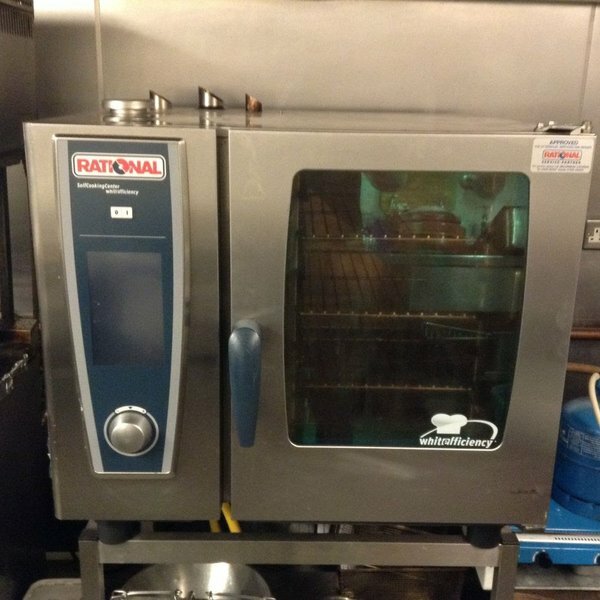 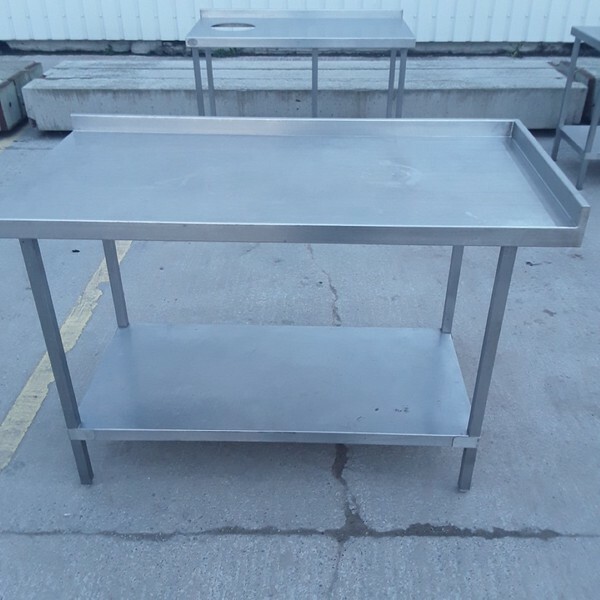 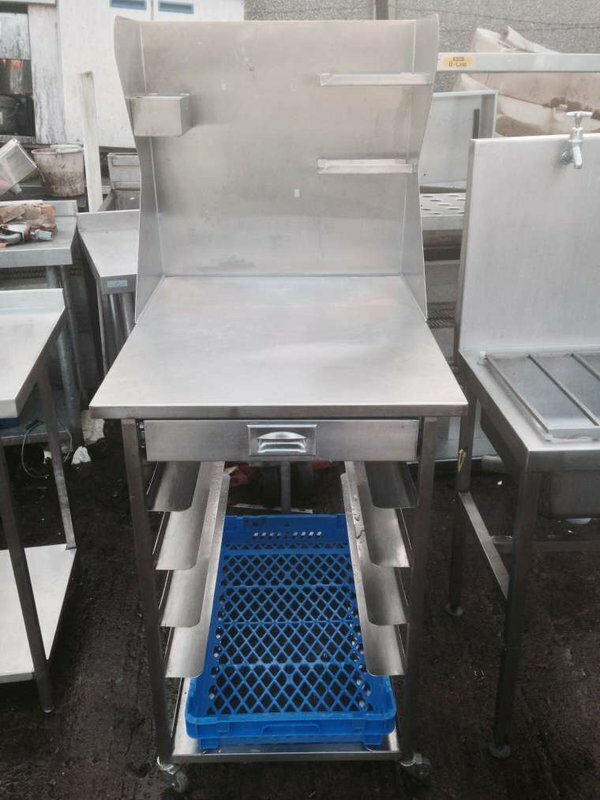 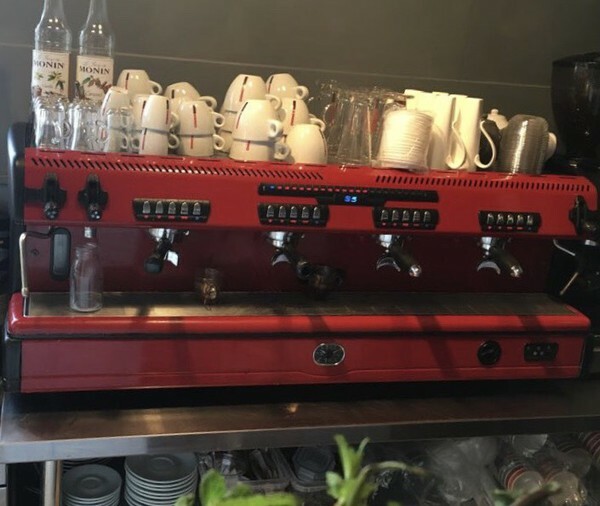 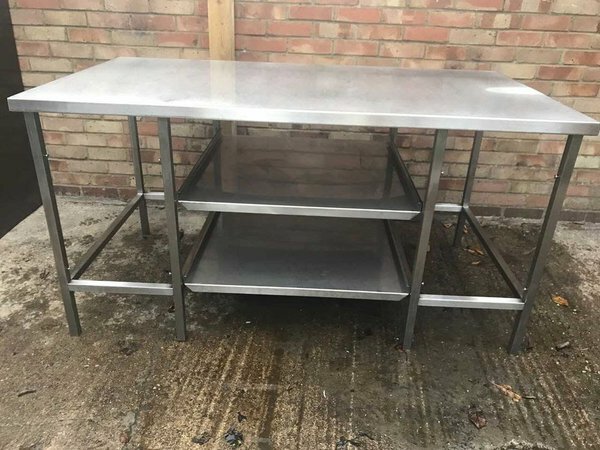 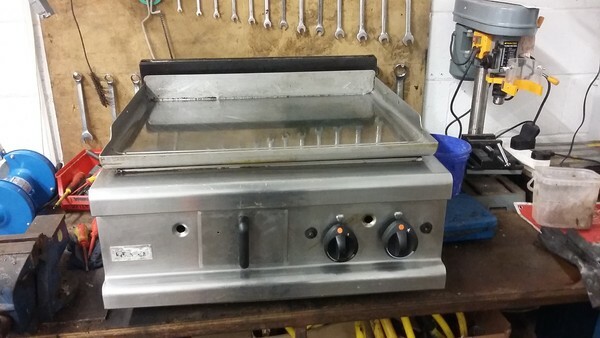 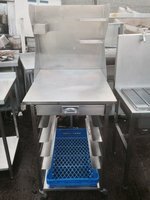 Very clean Lincat Gas griddle, this is a solid flat stainless plate version, NOT the cast iron cheaper model We have fitted 2 new thermostatic gas valves, 1 ignition and 1 new control knob, its 6 Years old, VGC, all stainless steel chassis and has 2 x piezo ignition systems.